In case we are not hearing the words of our loving Savior, He says again in John 16:33, "These things I have spoken to you, so that in Me you may have peace. In the world you have tribulation, but take courage; I have overcome the world." The angel of the Lord came back a second time and touched him and said, “Get up and eat, for the journey is too much for you.” So he got up and ate and drank. Strengthened by that food, he traveled forty days and forty nights until he reached Horeb, the mountain of God. There he went into a cave and spent the night. “Go back,” Elijah replied. “What have I done to you?” So Elisha left him and went back. He took his yoke of oxen and slaughtered them. He burned the plowing equipment to cook the meat and gave it to the people, and they ate. Then he set out to follow Elijah and became his servant. Yes, the Lord breaks in pieces the cedars of Lebanon. The voice of the Lord hews out flames of fire. 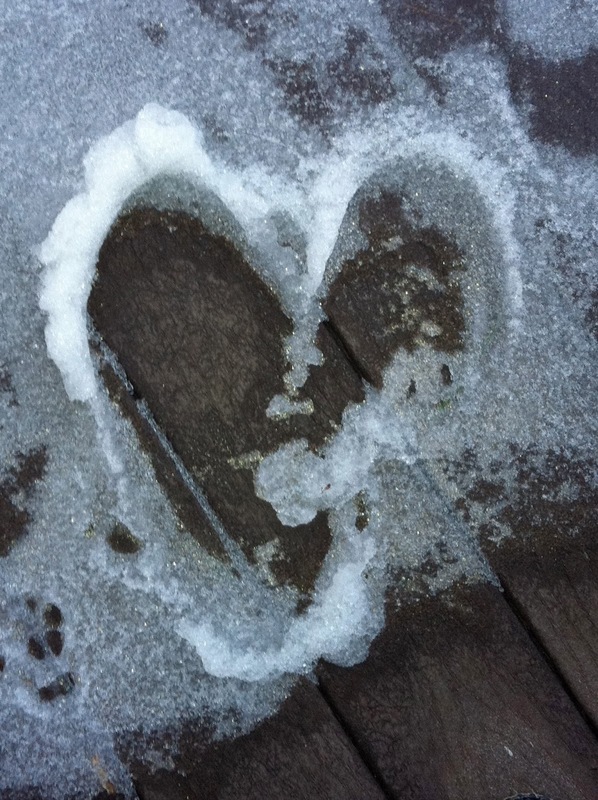 A heart....in the snow! I gasped delightfully with surprise. And it’s Valentine’s Day. I grinned on the inside and outside after stumbling upon this little wonder on our deck. My husband explained how he made those prints the night of February 13, but then our dog messed it up after running through it. The nighttime temperature solidified in ice the imperfect yet beautiful heart, and I still felt loved. Considering my husband’s work of art brought to mind my imperfect love for God. Do I love Him with my whole heart? What other loves distract me from loving God? Does He forgive my imperfection? No, I don’t always love Him completely and yes, He forgives me because no matter what I do, He still loves me. Perfection covers imperfection—hallelujah! Thank you, God, for forgiving my imperfect love for you. Thank you, Jesus, for covering over my many sins. Help me love you with my whole heart. Give me an undivided heart! Off in the distance the blue yonder finally showed up, revealed by the parting of the clouds. It’s always been there, but the clouds created doubt about the sun’s ability to shine. Do we see Jesus, the Son of God, in the same way? Do the unpleasant circumstances in our lives cause us to doubt that the Son is even there? As I walked my dogs through the snow and ice of our recent snowstorm, the evidence of God’s presence became reality. He’s here, right now! He’s never left me, no matter what my situation. It may look gray and frightening, but He’s right beside me. Using the weather and my natural surroundings, God guided me to a deeper understanding of His truth through these three spiritual lessons: 1) blue sky and sun symbolize God’s constant presence even when cloudy, 2) underneath physical beauty may lie danger, 3) a warm covering protects from wind and cold. Using the Old and New Testaments, I want to share with you what God taught me outside on a wintry snowy day. Several inches of ice and snow covered everything outdoors and big billowy clouds filled the sky. With my two dogs leading the way, I watched my every step while carefully trudging over slippery spots. Suddenly a bright light appeared and I glanced upward to see the sun peeking through gray clouds. As I rounded a corner, I looked up again and saw blue sky. Awww—I knew it was there. For three days, the overcast sky rained down sleet and snow, but now, the clouds gave way to the warm sun heating up the earth and me. As the sun warmed my outside, the Son of God warmed my heart. Actually seeing the sunlight gave me reason to rejoice, but it also opened me eyes to reality. The sun always shines regardless of the weather and Jesus Christ, the Son of God, is always available to us. But we tend to forget about His presence when we allow circumstances to cloud our vision. The fact remains—when only clouds are evident, the sun still shines daily. Another fact endures—when our lives appear gloomy, the Son is still shining everyday. Do you believe He is near to you? Do you trust that He rains down His love upon you? Be encouraged by the hope of blue sky and sunlight and listen with your heart to what He says about His abiding love and grace. Continuing on our walk, I noticed how ice on the trees turned into water droplets and icy patches on the ground changed into slushy puddles. Everything glowed as the sun glistened off the wet snow. It was beautiful until I almost tripped. Then I realized ice still remained underneath the snow; danger lay beneath the beauty. Suddenly I remembered a news report—many people were without power, tree limbs were falling on houses, and several people had died because of the cold. What looked appealing to me wreaked havoc on others. Sometimes we get caught up in the allure of things/people/places and forget about possible risks. Beauty can mislead us into thinking all is well. God then brought to mind some Scripture that spoke to my thoughts. On his journey to the promised land, Abraham and his nephew, Lot, had acquired many processions of livestock and precious metals. Because of the great amount of flocks of animals, their herders began to quarrel. So Abraham suggested they separate, allowing his nephew to choose first which direction to go. Lot looked around and chose the lush countryside of Sodom (eventually God destroyed Sodom and Gomorrah because of the evil within them—read about it in Genesis 18-19). Lot saw only the area’s outer beauty, not realizing danger existed within its borders. Are you deceived by glamour and magnificence? Have you ever considered the dangers lurking nearby? Read below a portion of the story about Lot’s choice found in the thirteenth chapter of Genesis. Even though the sun melted away the remnants of a snowstorm, the air remained cold and the wind blew colder. I gave God thanks for the warm wrappings of my coat, hat, and gloves. Knowing I walked toward a warm house caused me to rejoice in my many blessings and God’s love. It doesn’t matter whether my life seems flawless or is in shambles, I serve a God whose love and grace strengthens me for another day. My faith in Jesus allows me to trust Him, no matter what I see before me. What about those that know no grace, those that haven’t accepted the love of Jesus Christ? What do they do when the cold forbidden dangers surround them and there are no warm loving arms around them. Where do they go for comfort? I hope my lessons in the snow help you to know, without a shadow of a doubt, that God is always near to you, no matter how cloudy your circumstance. He hears you when you call to Him. Even if hidden dangers lurk nearby, He is available. He desires a loving relationship with you. He’s standing at the door to your heart. Listen—I hear a knock. Go ahead, we can talk another day—go answer that call. What’s the first thing that comes to mind when you wake up? What thoughts plague your reasoning and prevent sleep at night? What troubles your thinking process throughout the day? How you ever stopped to consider all the notions that run through your head? We all deal with problems at one time or another. The difficulties may be with ourselves or a family member. Hurdles might happen at work or we could be battling something beyond our control. How do we handle all the troubles that come our way? Do we brood unhappily or do we meditate quietly with purpose? Focusing on negative circumstances in life causes the human condition to appear dreadful. Everything has a tinge of gray around it and our vision becomes clouded with misery and sorrow. Slowly life spirals uncontrollably towards depression while hearts despair. We’re no good for anyone, not even ourselves. When we meditate with hope and praise the name of our Heavenly Father, we’re enabled to release our angst to God. He hears our prayer and fills us with strength. Even if our circumstances remain the same, our anxiety turns to joy. Our minds rest at night and we realize God’s in control throughout the day. Our aching hearts beat with the praise of a child who has just landed in the arms of a loving Father. Again I ask you—what concerns you? What things in your life frequently bother you? Be still right now and take a moment or two to be silent before God! Control your running thoughts and give Him your grieving heart. Know without a shadow of a doubt that He loves you. Focus on His truth, goodness and faithfulness. Allow your troubles to fade as you praise Him for who He is. Trust Him to take care of you and your situation. Experience deliverance from adversity and sing with gladness before a God that hears your cries. Give Jesus thanks for setting you free! When the adoration of our Savior over us holds sway. Christ Jesus, we glorify you! Christ Jesus, we magnify you! Because we realize our worries are snares. Christ Jesus, we give thanks to you! Purple majesty off in the distance, the rise and fall of a distant tree line, jagged edges and rugged terrain—this picture of beauty displays itself when I venture on the highway toward the mountains of North Carolina. 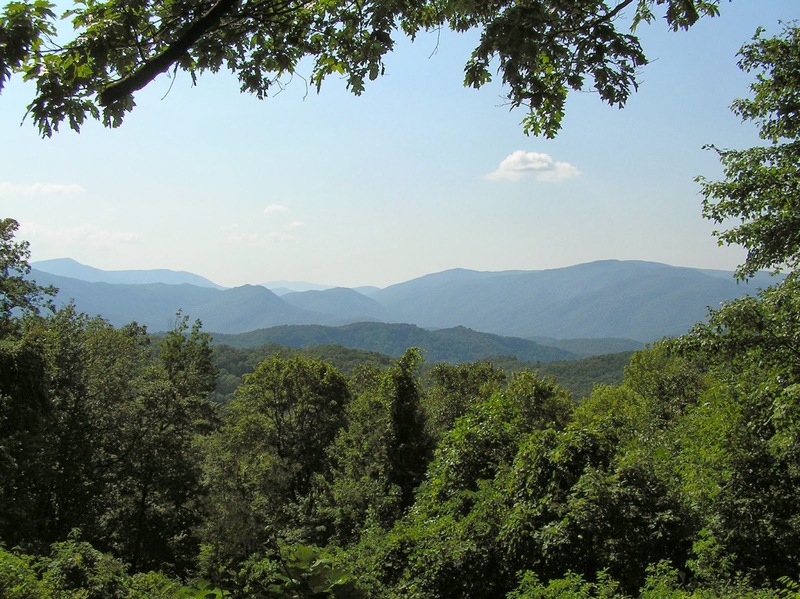 I love the mountains and my heart soars when I approach the Appalachian chain. What is it about the heights of an impressive landscape that give us pause to gaze in awe? Staring at the topography, we possibly gain a greater understanding of a Creator God. Maybe our hearts feel closer to God as we near the mountains. Perhaps it’s the fact that believers in Christ make their hearts His home, and seeing the mountains convey awareness that God is in our midst. Conceivably mountains call us home. Whether Greek mythology or Jewish Scriptures, mountains reflected the majestic quarters of unseen power for ancient people. 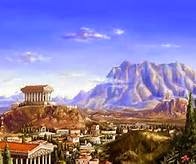 The gods of the Greek myths supposedly resided in a palace on Mount Olympus. The Old Testament Israelites believed that God’s coming kingdom would inhabit Mount Zion, the mountain of God that symbolized God’s dominion over the whole earth. Regardless of what anybody believed, mountains revealed (and still do) a fortress of refuge and strength. Jerusalem itself was referred to as Zion. When David captured the fort of Zion (walls and all), it was renamed “the City of David.” Once David’s son, Solomon, built the temple in Jerusalem, the name Zion grew in meaning to refer to the temple. 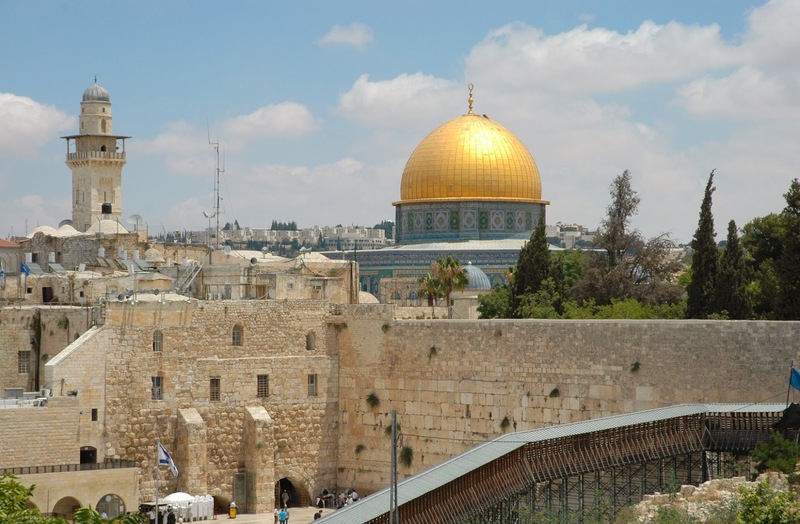 Eventually the land of Judah and the people of Israel were known as “Zion.” Is it any wonder that the name “Zion” later took on a New Testament meaning of God’s spiritual kingdom, the heavenly Jerusalem, the City of God? 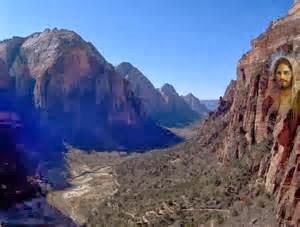 Even Peter, one of Jesus’ disciples, referred to Christ as the Cornerstone of Zion (1 Peter 2:6). Jerusalem and the city walls, the temple, the land of Judah, the Israelites, the kingdom of God, the heavenly Jerusalem, the City of God, Jesus our Cornerstone—all referred to as Zion and it means fortification. God Himself was, is, and will be a refuge for His people. Jesus Christ, Immanuel—God with us—came to earth to live among His people and revealed the kingdom of God. After Jesus’ resurrection, He sent His Holy Spirit to reside in the hearts of believers. God is in our midst and He is our refuge. That’s why a view of those prominent mountains takes our breath away. Not only do we see strength, but we feel it in our souls. We know who God is and believe He is our refuge and strength, a very present help in trouble (Psalm 46:1). We should not be afraid of anything. Read Psalms 46 and 48. Know that God dwells with us, offering sanctuary and safety. He is our fortress, a mighty fortress, and He will never fail us! Offer God your thanksgiving and praise; He is most worthy of adoration and honor. Let’s glorify our Lord together through His Word. Has made Himself known as a stronghold. They were terrified, they fled in alarm. Anguish, as of a woman in childbirth. You break the ships of Tarshish. God will establish her forever. That you may tell it to the next generation.